I received this letter from Professor Knohl this morning. He asked that I post it on my blog which I do below. Just to be clear, the line Professor Knohl is referring to is this one: "When I watched one of their previews, I could not believe the nonsense that the (NGS) narrator was stating. The narration suggests (dubbed on top of some Israeli folk music) that Professor Knohl's reading and interpretation is going to revolutionize and destroy the heart of Christian belief." It is not my interpretation that Knohl's reading will threaten Christian belief, rather it is the spin that National Geographic has put on it. One of the things I have been trying to communicate on this blog is that the media spins us and we need to be concerned about it. The media is taking our work and spinning it to whatever sensation the media thinks will sell. When scholars like me or Knohl are filmed, they are required to sign an agreement that whatever is filmed can be edited and used in whatever manner the company wants to. This is how the media gets away with spinning our work and words in whatever direction is desired, without any care whether or not we think our work or words support the media's sensationalism and interpretation. My real concern is that all these "new" finds and the scholars working on them are going to appear sillier and sillier, and what could be very significant to our understanding of the history and formation of Judaism and Christianity will be further marginalized and neglected by other scholars and the broader public who have become confused and numbed. I want to get the message out there that serious work is being done on these "new" finds, but it takes time and patience to sort out what is going on. The process requires years of scholars examining the new evidence and offering opinions, until some sort of consensus forms, or two dueling positions arise. If you see a "documentary" that claims things like "it will revolutionize Christianity", etc., beware. New finds usually don't overturn established religions, which have weathered the Copernican Revolution, the Enlightenment and Darwin, adjusting their teachings (or not) to survive. Most often new finds supplement our previous knowledge, and sometimes they will provide us with information that will require us to adjust older paradigms or shift them. But rarely do they require us to throw out the baby with the bath water. I was very sorry to read the following line in your blog : "Professor Knohl's reading and interpretation is going to revolutionize and destroy the heart of Christian belief". I have not seen yet the NG film, but if this is indeed what they say, it is ridiculous. 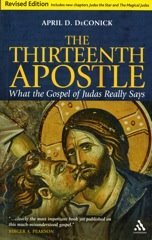 In my view, my reading and interpretation of the inscription supports the historicity of the Gospels story about Jesus predictions of his death and resurrection rather than "destroy the heart of Christianity". With regard to your suggestion to explain the word "HAYE" in line 80 as "revive" I must say that in terms of the Hebrew syntax I find this interpretation very problematic. If this was really the meaning of this word, we should expect to find the object of the reviving act immediately after that. Like we find it in Hosea 6 "He will revive us". However, the words which appear after the word HAYE are "I Gabriel" and they can not be the abject of the revival act. In my view, this proves that we should understand the word HAYE here as a commandment: "resurrect, come back to life". I would be happy if you could post my response at your blog. It's always nice to hear what the man really thinks rather than what the media "interprets" (maybe the right work is lies?) about what he thinks. "When scholars like me or Knohl are filmed, they are required to sign an agreement that whatever is filmed can be edited and used in whatever manner the company wants to." So why do you sign? Isn't it sad that NGS, which supposedly is for true scholarship, has sunk to sensationalism to make ratings? It is one thing to bring up controversial issues. It is another to twist a scholar's words to prove their point. Which goes to the question: why? Why do they think this is such a Christian religion killer? And why bring up a fake controversy, unless there is some agenda? 1. they either are just in it for the ratings/money, and/or 2. they are trying to dampen people's religious belief. Either way, it is unconscionable. Have you seen Dr. Victor Sasson's opinions about the Vision of Gabriel on his blog called Hebrew and Aramaic Epigraphy? I am sorry, but I should have said that Dr. Victor Sasson has a very controversial translation of the Gabriel stone on his blog called Hebrew and Aramaic Epigraphy. I think you should look at it if you have time. Yeah whatever, Geoff Whodson... I've heard of Dr. Knoll and his astounding contributions to biblical deciphering. Yourself on the other hand? Not so much.